In Victorian London, the pleasure garden served as a cross between a public park, a fairground and al fresco nightclub, arguably a precursor of the modern theme park. 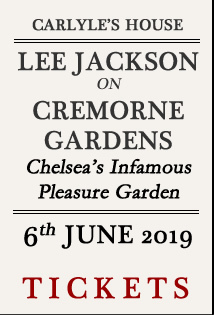 In this talk, Lee Jackson reveals the peculiar and salacious history of Chelsea’s infamous Cremorne Gardens. 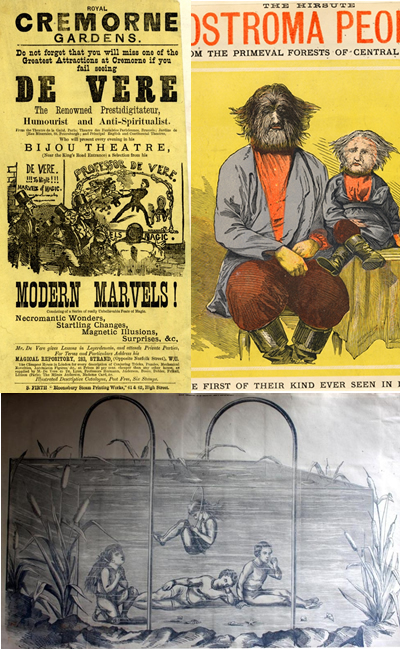 Initially opened as a sports club in the 1830s by the eccentric marksman Baron de Berenger, he gradually transformed the 12 acre site on the banks of the River Thames into an outdoor palace of entertainment with balloon rides, necromantic wonders, freak shows, and an aquatic circus amongst other 19th century thrills. The story of Cremorne includes drinking, dancing, tightrope walks across the Thames, parachuting monkeys, and Cremorne's association with the demi-monde of the West End, which notoriously contributed to its much-publicised downfall in 1877 after it was branded a "nursery of every kind of vice”. 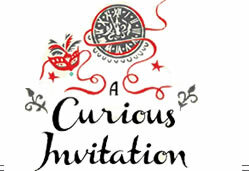 Lee Jackson is a Victorian enthusiast, creator of the popular online resource on the social history of Victorian London www.victorianlondon.org, and currently working on a PhD entitled Dickensland. His previous book Dirty Old London (Yale University Press, 2014) was described by The Times as 'a tightly argued, meticulously researched history of sanitation that reads like a novel' and by the Lancet as 'a triumph of popular scholarship'. His forthcoming book Palaces of Pleasure: How the Victorians Invented Mass Entertainment (Yale University Press, 2019) covers topics as diverse as the origins of modern public house, football, music hall, the Victorian seaside, dance halls and pleasure gardens.